If you've been to Cape Town you'll recognise this road... or, at least by virtue of the backdrop you'll know more or less where it is. You'd be forgiven for calling it Kloof Nek Road and hey, I'd even forgive you for thinking it's Buitengracht Street - in fact, this is New Church Street. To explain, one of our national highways, the N1, becomes Buitengracht Street. Buitengracht becomes New Church. New Church becomes Kloof Nek Road. Kloof Nek Road becomes Camps Bay Drive. 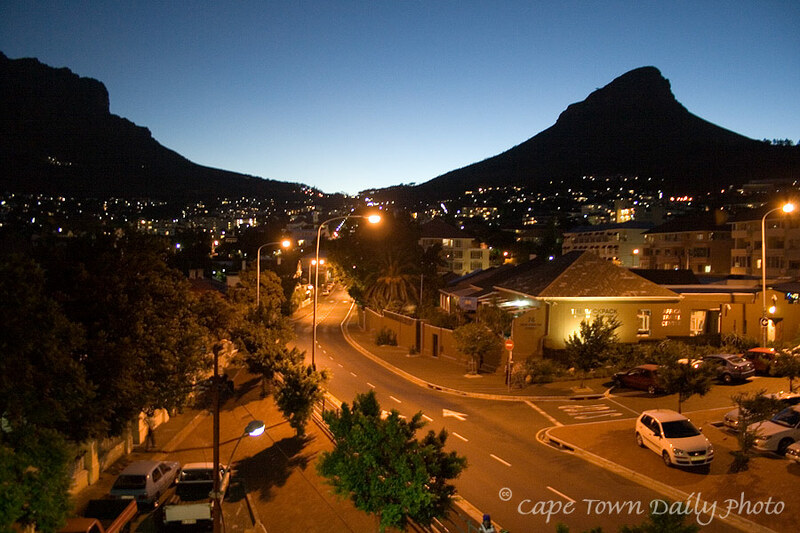 And Camps Bay Drive eventually curves around, and ends at a traffic light facing the white sands of Camps Bay Beach. Posted in General on Wednesday, 13 February, 2008 by Paul.